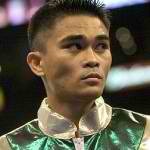 2012 “Fighter of the Year” Nonito “The Filipino Flash” Donaire and former WBO/WBA flyweight champion Brian Viloria will be on the same Top Rank fight card in Macau in May. The fight card at the Texas Station Gambling Hall and Hotel will see Viloria move up to super flyweight in a ten round bout against an opponent still be to named. Vetyeka (26-2, 16 KO’s) won the title from Indonesia’s Chris John (48-1-3, 22 KO’s) beating John for the first time in his long 15-year pro career in Metro City, Western Australia last December 6 by a by a 7th round stoppage. John failed to come out for the 7th round after having been knocked staggered and knocked down in the 6th round by a series of huge right hands from Vetyeka. 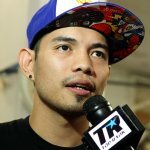 Donaire said that since the fight is being held in Macau, there is a slight possibility he may train in the Philippines.